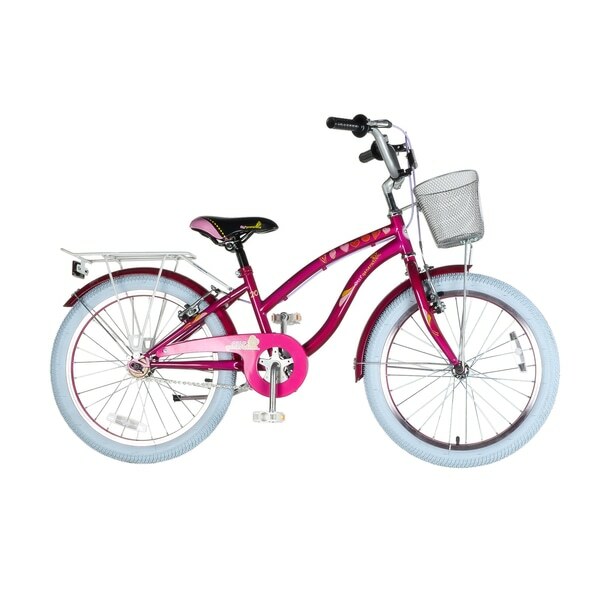 Our Generation lovers will adore this 20 Inch Our Generation bike. Our Generation dolls build a world of creativity, confidence and pretend play for kids of this generation. Now you can take that world for a ride! The stylish carrier basket lets kids take their toys and accessories on the go, while the rear wheel rack lets you bring more with you as you cycle. 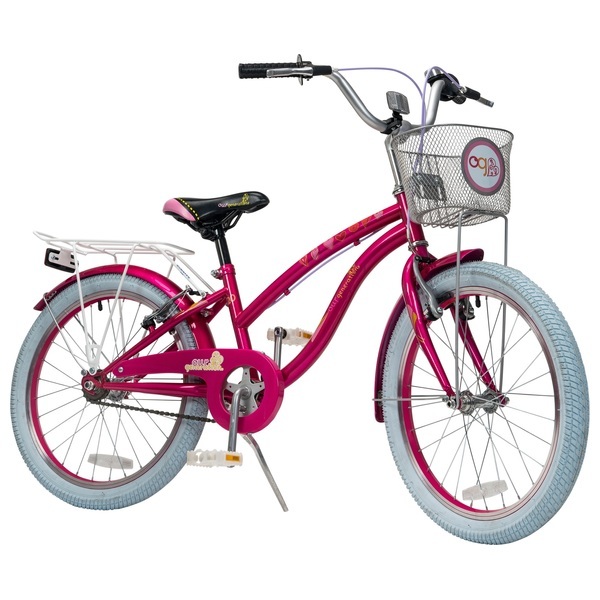 The 20 Inch Our Generation Bike features a strong steel frame that’s designed to last. The striking bright pink of the frame is decorated with Our Generation logos and cute heart designs. Whether you’re riding to the park with friends or cycling to the shop, you’re sure to arrive in style. The comfortable black and pink saddle features faux-stitching in yellow for a cute finish. Bright pink mudguards help to protect you and your clothes from splashes while cycling. A half chain guard with a pretty Our Generation logo covers the part of the chain closest to the cyclist in order to protect them from scrapes or grazes should ther foot slip from the pedal. The 20 Inch Our Generation Bike is equipped with brakes for the safety of the cyclist and a fixed gear to keep cycling simple.